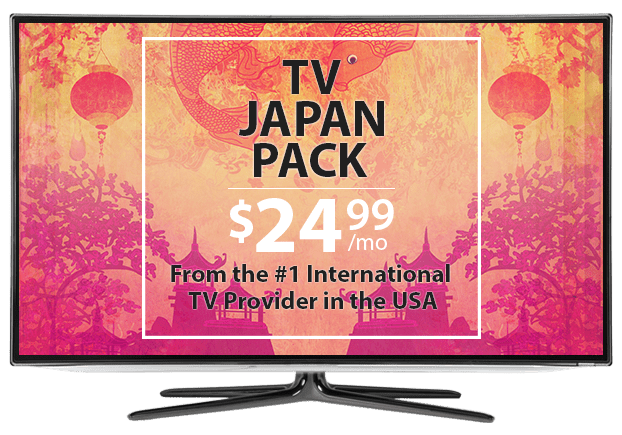 Japanese TV Channels From DISH – $24.99/mo. Are you missing news and TV shows from Japan? TV Japan is a channel designed just for Japanese families living in the US and it’s available on DISH! These Japanese TV channels offer the ability to learn English and other languages. There are also kids’ favorites, Asian travel programs, judo and synchronized swimming, science shows and anime. Enjoy TV delivered to your family’s TV with no buffering or lost channels! DISH delivers TV Japan in standard and high definition for the best entertainment experience. Stay in touch with Japanese news that airs in the United States at the same time it does in Japan. There are dramas, documentaries and exercise programs you’re sure to enjoy. Your kids will also find TV Japan shows they love, with original children’s programming broadcast every morning. Personalize your Japanese TV package with extra channels from around the world, including Willow Cricket HD, NDTV 24*7, France 24 and more. Enjoy more news, sports and global entertainment at a budget-friendly price with these add-on packs, designed with international families in mind. TV Japan can be added to any DISH TV package you choose. There are American TV plans with sports, movies, news, dramas and reality TV. Options range from the family-friendly America’s Top 120 to packages like America’s Top 200 and Top 250. You can also subscribe to one of DISH’s basic international packages, designed to complement your Japanese TV channels.